The subsidy on yellow boilers will increase from 50 percent to 75 percent. State Agriculture Minister Pocharam Srinivasa Reddy said that paddy rice machines will be given 10 percent each. He addressed a meeting of the Regional Co-operation Coordination Committee on Monday. In Nizamabad, Nizamabad district will be provided the subsidy for farmers. 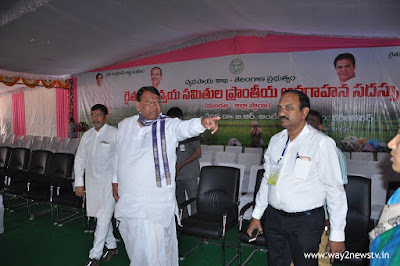 He thanked the KCR for 75 percent of the subsidy on Tarpaulin currently at 50 percent.